We are hosting our AGM on Sunday May 17th. 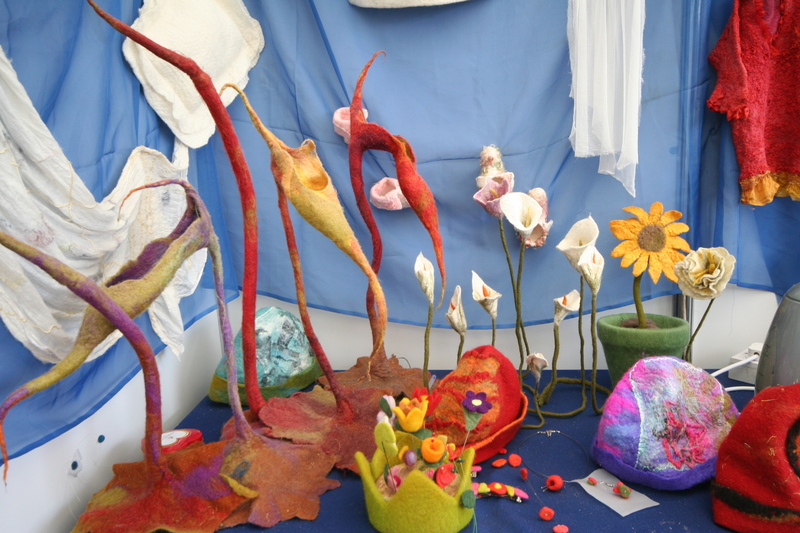 It’s not really an AGM as you might know it – more like a fun day with lots of fibre, an exhibition of felt work and lots of people who share your passion for felt. This year we are delighted to welcome Freda from the Wool Initiative to give a presentation about her work and the type of sheep and wool she has. (www.woolinitiative.com). 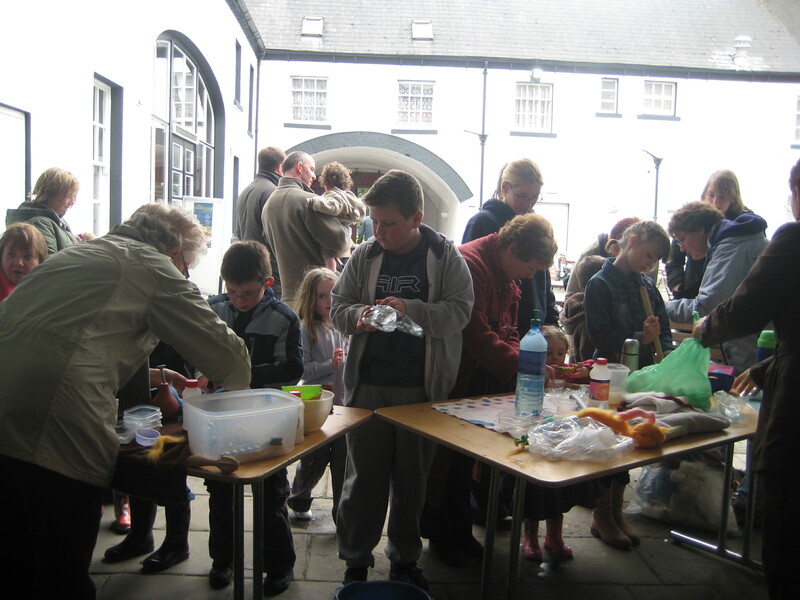 We will have our usual selection of stalls selling supplies. The AGM is a great opportunity to meet up with other felters. It is also a chance to have your views included in decisions abut the future direction of Feltmakers Ireland. We are always delighted to receive comments and suggestions on the programme of events presented throughout the year. You can contact Sheila Ahern if you would like any further information on sheila.ahern@ireland.com. See you in St Andrew’s Parish Centre in Lucan, Co Dublin on Sunday 17th May from 1-3pm. The AGM also marks membership renewal time – all membership is up on May 17th. If you wish to continue being a member (or indeed would like to join for the first time) and retain all the benefits of membership (quarterly Newsletter, reduction price for workshops etc) please complete the form you received in the post, also available on this site, and bring it to the AGM or drop in teh post. Many Thanks. We got the keys for our new studio in the Phoenix Park this week. We are planning to have a couple of moving in sessions on Monday 20th April 1-5pm and on Wenesday 22nd from 10-1pm. If you are available and would like to help please come along. From next week the studio will be open on specified days when members can come along and work there in the company of other felters and avail of some of the equipment of Feltmakers Ireland. From the beginning of May we will be listing the days and times the studio will be open (this will change depending on committee members availability). Updates will be available on this site. We had a lovely day on Easter Monday afternoon last in the Visitors Centre of the Phoenix Park. Despite the very cold day lots of children turned up and learnt how to make felt nests and eggs from wool fibre. Clodagh had a great tecnhique of moulding the wet fibre in a small plastic food container which helped small hands work easily. 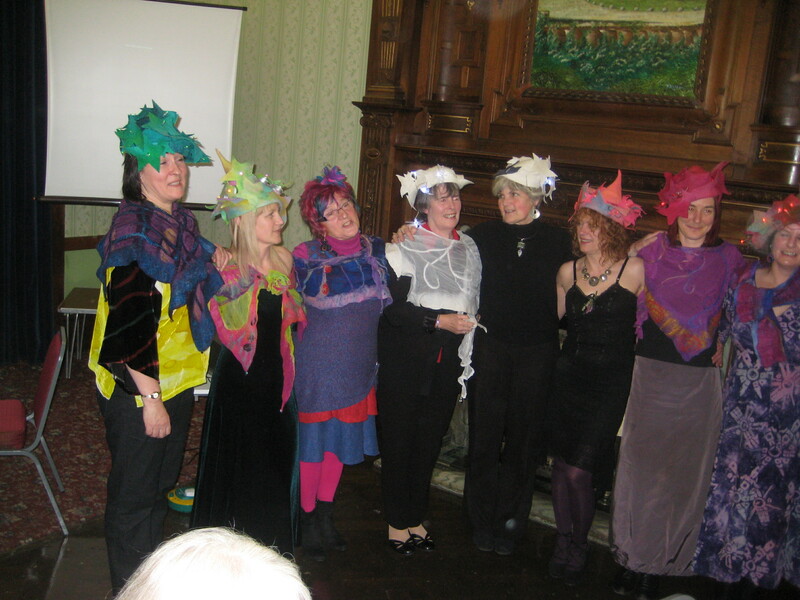 Twelve members of the committee of Feltmakers Ireland travelled to Scotland at the end of March to attend the International Feltmakers Association’s AGM. The AGM consisted of a series of workshops, felt exhibition and fibre sales held over three days – as well as the business of the business of the AGM itself. It is a terrific opportunity to meet with feltmakers from all over the world and potential tutors to come and visit Ireland. The week-end was spent in the beautiful surroundings of Loch Lomand castle, recently turned into a youth hostel but still retaining all the grandeur of a castle. Our Scottish hosts provided a very warm welcome and the organisation of the event was a model for us all. There will be a display of the work made during the week-end at our own AGM which takes place on Sunday May 17th next in Lucan.